The collaboration will fund an additional reporter at Boise State Public Radio. Boise State Public Radio has been selected to participate in Guns & America, a two-year, national reporting collaborative of 10 public media stations, funded by a $5.3 million grant from The Kendeda Fund. The collaboration includes the launch of the first-of-its-kind Audion Fellowship, a program that will train and empower a diverse corps of innovative, cross-platform journalists to cover difficult and divisive topics and lead the public media system. “There is no better time for this reporting partnership than right now,” said Tom Michael, General Manager of Boise State Public Radio. He explained the grant means about a quarter-million dollars for the Idaho network over two years, which will fully finance an additional reporter and related expenses. The Guns & America national reporting collaborative will be supported by a five-person production team at WAMU in Washington, D.C. and 10 Audion Fellowship reporters to be placed in the following public newsrooms across the country: WAMU in Washington, D.C.; Boise State Public Radio in Boise, Idaho; KCUR in Kansas City, Missouri; KERA in Dallas, Texas; KUNC in Greeley, Colorado; OPB in Portland, Oregon; WABE in Atlanta, Georgia; WCPN ideastream in Cleveland, Ohio; WNPR in Hartford, Connecticut; and WUNC in Chapel Hill, North Carolina. The national collaborative will report for two years on the many ways that firearms are intertwined in American life, from the cultural significance of hunting and sport shooting, to the role guns play in suicide, homicide, mass shootings and beyond. The inaugural cohort of Audion Fellows will increase the capacity for in-depth reporting and infuse public media newsrooms across the country with digital and multimedia skills. Reporters at the ten stations will begin filing their first stories in Summer 2018. Beyond the announced two-year Guns & America reporting collaborative, the Audion Fellowship is expected to be an ongoing program, poised to tackle future endeavors on topics of national interest and critical importance. 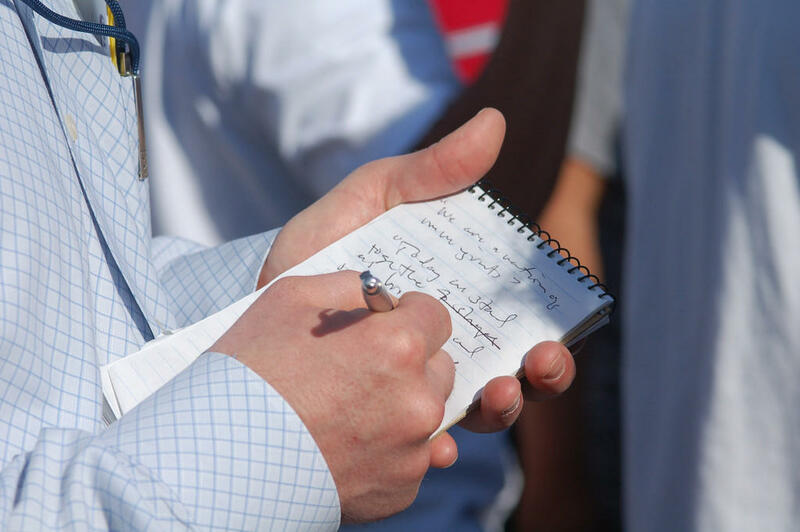 More information can be found at Guns & America, including information about how journalists can apply for the Audion Fellowship.